Traveling on horseback allows a visitor time to absorb the natural beauty and imagine what life was like here 100 years ago. 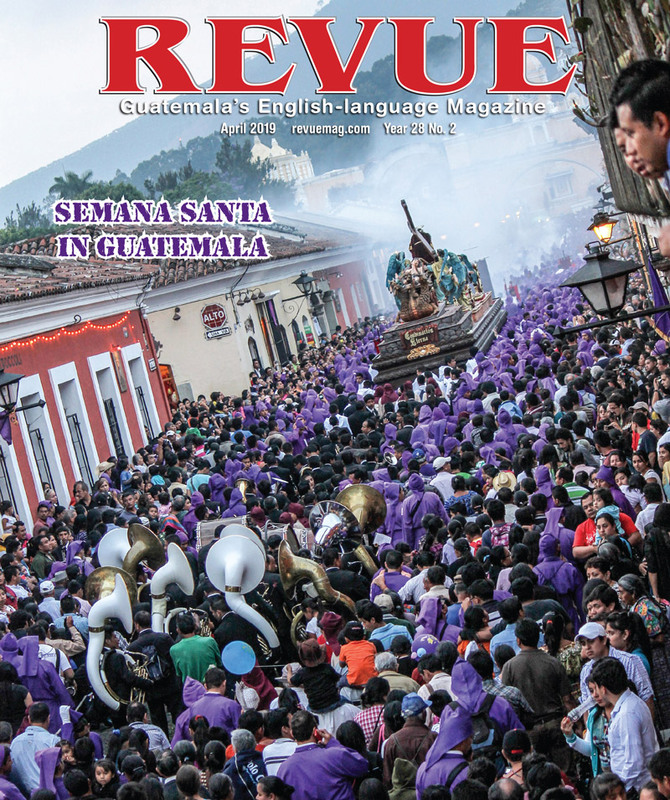 Want a really different Guatemalan adventure, far off the beaten tourist track? 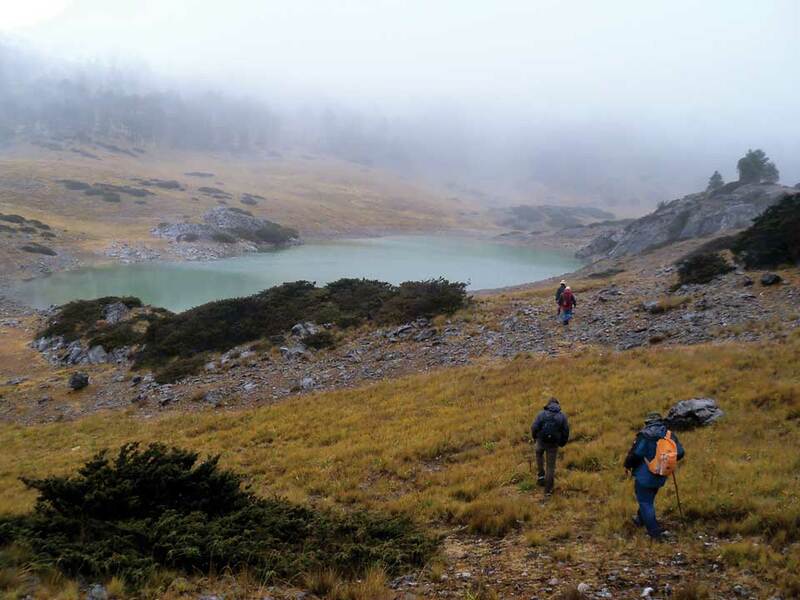 Try a trip to the spectacular Sierra de los Cuchumatanes mountains in Guatemala’s Highlands, the highest non-volcanic mountain range in Central America. We arrived at the rustic, comfortable Posada El Unicornio Azul near the town of Chiantla in the area of Chancol in late afternoon after a five-hour drive from La Antigua. This is a perfect base camp for two or three days of exploring. The lodge is rustic, comfortable and clean, with hot showers (welcome in the cold climate at this altitude). We joined other visitors at the inn around a wood stove in the great room and enjoyed a glass of wine and some local cheese as we planned the next few days of our adventure. Options included horseback riding on beautifully conditioned and cared for horses, guided or unguided hikes of different durations and difficulties, and mountain biking on your own bikes or the lodge’s rental bikes. Over a hearty dinner served family style, hosts Paulina and Fernando helped us decide on a horseback ride the next day. After dinner, some guests played cards or board games, while others read books. At bedtime, we were each given a hot-water bottle to tuck under the thick, woolly Momostenango blankets and warm the bed. The next morning dawned crisp and cold. After a hot breakfast, we mounted our horses, each chosen and matched according to our riding ability, and set off for a ride through dry, stony, high mountain steppes on grassy “roads” lined with piled rocks sprouting thorny agaves. The trails we rode are designed for foot or animal traffic, not cars. 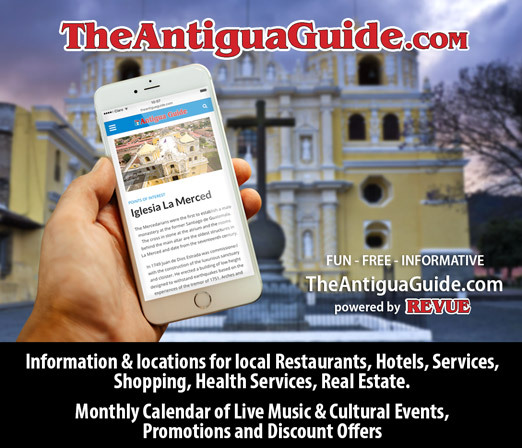 We passed through spectacular countryside, traversing wild, seemingly untouched areas only to round a bend and encounter a tiny “cantón” consisting of two or three adobe dwellings with tile roofs. 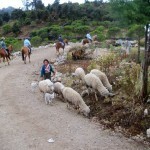 Groups of sheep are herded from one pasture to another, generally by children or women. There are scattered cattle and horses, and even a llama or two. It is charmingly pastoral and peaceful. 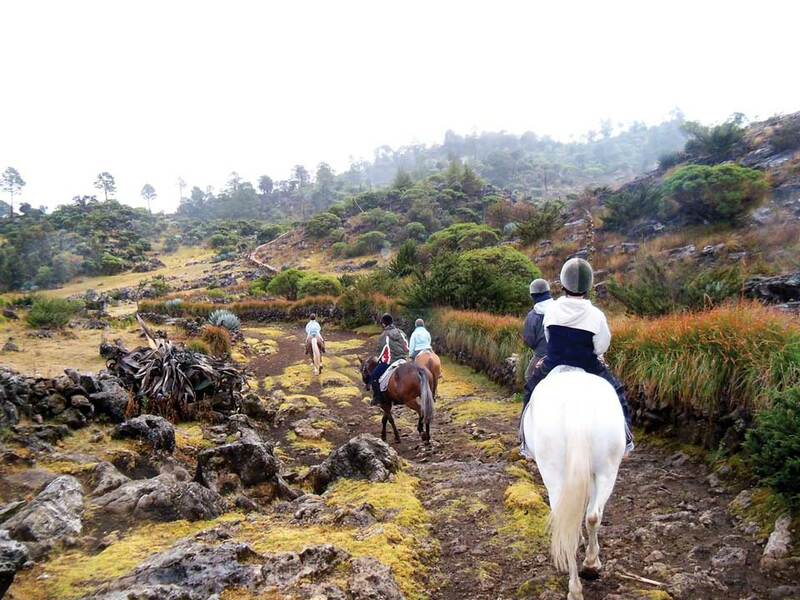 Traveling on horseback (or hiking) allows a visitor time to absorb the natural beauty and imagine what life was like 100 years ago in Guatemala— it has changed very little. Our second day we arranged for a five-hour guided hike. Fernando dropped us off with our guide at the peak of La Torre—at 3,800 meters, it’s the highest non-volcanic peak in Central America. We walked through magnificent open plains, scrubby, bonsai-like cypress forests, past moraine lakes, and ended up at the spectacular Puerta del Cielo viewpoint, with vistas stretching to Mexico. 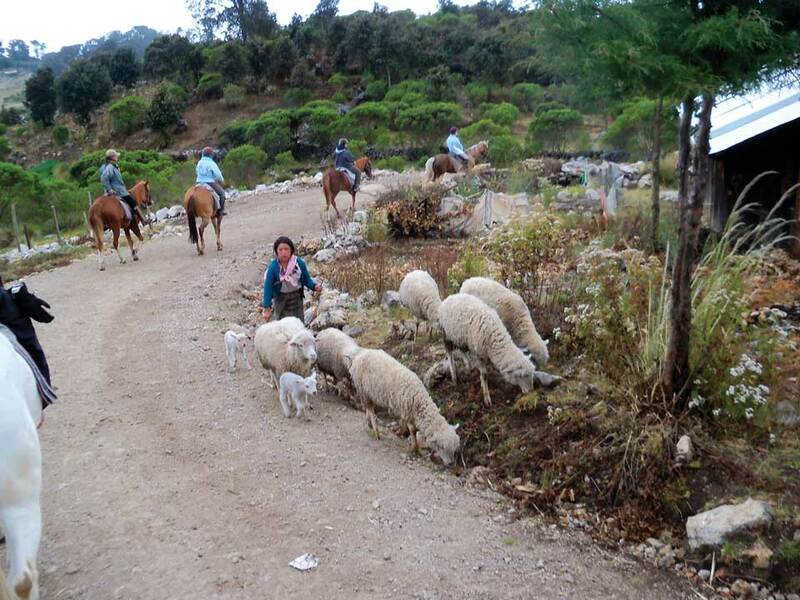 Traveling north from El Unicornio to Nentón, about 2½ hours from Huehuetenango, visitors can stay at the Posada Rural Finca Chaculá, a huge farm that belongs to a cooperative of 210 families representing five ethnic groups—returnees from Mexico after the civil war ended. The families were relocated on the farm, opening it for tourism, generating jobs and economic stability for themselves. This area lies at about 1,100 meters, so is considerably warmer. The finca, or farm house, is original, with thick walls and a typical roof. It was remodeled a year ago by the cooperative, keeping its charm but adding amenities for visitor comfort. 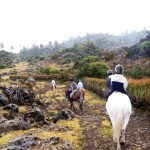 The farm is an excellent base for many nearby excursions, including an archaeological site, small waterfall and lagoon. 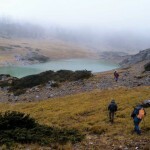 For good walkers, the beautiful Laguna de Yolnab is close by (11 km. by car, or a 2½-hour walk). You can also visit the another spectacular site, Ojo Cimmaron, a cenote (sinkhole), 150 meters deep and 175 meters wide, with a forest growing at its base. Tours can be arranged to visit Lago Montebello to see sacred caves and prehistoric paintings. The guides are local and are trained by INGUAT. 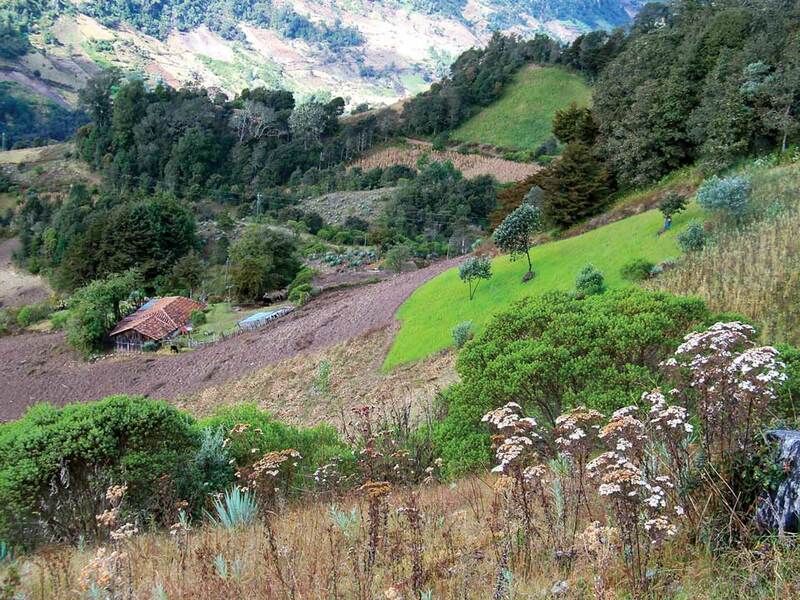 Drive about 2½ hours (160 km) north of Huehuetenango on the Pan American Highway. Take the paved road from Camojá, drive through Nentón until you reach the crossroad to Gracias a Dios/Carmen Xan, desviándose a little below Trinidad. Drive 11 km toward Laguna Brava, passing Las Palmas y Chaculá. You can also reach the Posada from Todos Santos Cuchumatán. 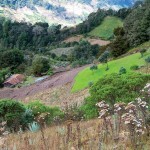 Temperatures in the Cuchumatanes can drop to below zero (F) at night during the coldest months (November to January), rising to the low 70s during the day. Dress in layers, and bring a windbreaker or rain jacket. Sturdy walking shoes are a must, and a hat, gloves and scarf can be handy. Make sure to pack sunscreen, as it is easy to burn at such a high altitude. The climate is more temperate in Chaculá due to its lower altitude.